STAR TREK: INTREPID temporarily suspends production on new episodes! One of the longest-running Star Trek fan series still in production, Star Trek: Intrepid released its first episode just over nine years ago in late May of 2007. Based in the town of Dundee, Scotland, Intrepid has produced seven original, live-action episodes plus two additional projects in conjunction with its American “sister series” Star Trek: Hidden Frontier. On Thursday, Intrepid show-runner Nick Cook announced on their series Facebook page that his series would suspend production on any new episodes not already filmed and in post-production. The reason Nick gave was the uncertain environment for Star Trek fan films at the moment due to the CBS/Paramount lawsuit and forthcoming new guidelines. In recent months, two other Star Trek fan productions have shut down. Just over a month ago, Star Trek: Constellation announced that it would not be moving out of its pre-production phase. And in late April, at the request of CBS, show-runner Tommy Kraft pulled the plug on Star Trek: Federation Rising (a sequel to his Star Trek: Horizon fan film) before it could launch a new Kickstarter campaign. Two weeks ago, J.J. Abrams announced that the lawsuit against Axanar was “going away,” and a short time later, CBS announced that they were working on releasing a new set of fan film guidelines. However, there has been no news on the status of the lawsuit since that time, and fans are uncertain whether or not these new guidelines will undermine the ability for Star Trek fan films to continue to be made in any practical and effective manner. Obviously, fandom’s collective fingers are firmly crossed, hoping for a positive outcome. In light of the ongoing lawsuit between CBS/Paramount and Axanar, and the uncertainty about what the rumoured fanfilm guidelines will entail, I have made the decision to suspend production on all stories that are currently in the planning stage. It seems increasingly unwise to me to invest any further resources in such projects until we know if they can be produced under whatever guidelines the license holder deems necessary. We will continue to work to finish those films that are currently ‘in the can’ (or mostly so) but we will not begin production on anything else for the foreseeable future. We do not do this with any animosity towards CBS or Paramount. 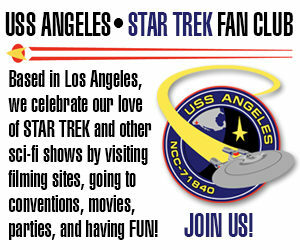 We have always respected their ownership of Star Trek, and their long-standing kindness towards fan works. They have every right to use their properties as they see fit, and to restrict unauthorised uses whenever and however they choose. We have nothing but gratitude towards CBS and Paramount for allowing us and others to play in their sandbox for so long and that gratitude, not to mention our respect, will endure. Nick Cook, for Star Trek Intrepid. To my knowledge, neither Alec nor the Axanar legal team has heard from the CBS/P lawyers yet, although that might be incorrect. Alec can’t discuss details of the lawsuit except when his lawyers approve an official comment. As for a hacker attack, I haven’t heard of that, although I do know that the hosting for AxanarProductions.com was recently relocated to different servers after the resignation of Terry McIntosh, who had been providing the free hosting prior to that. As for Axamonitor, I have some very strong opinions about what happened with that, but in the interest of trying to keep Fan Film Factor out of the fray, I elected not to post what I initially wrote regarding that incident. But in short, I do not feel fandom or fan films benefited in any way from reporting that leaked information…just the opposite, in fact.